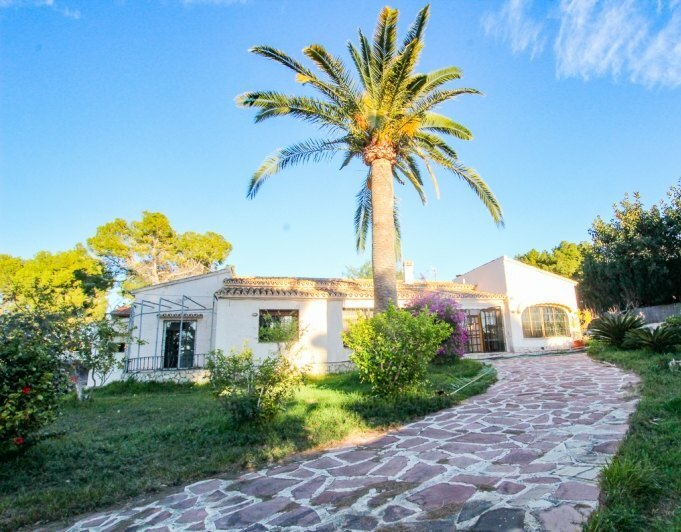 Plans to buy a villa in Pla del Mar - Moraria? Our Villas in this area are the best option to live in this fantastic Spain town. See our best villas for sale in Pla del Mar and contact us to visit your new villa in Spain. This traditional style character villa is located within one of the most exclusive areas of Moraira, Pla del Mar, only 5 minutes walk from the town centre and has beautiful sea views, access can be through a pedestrian gate or by car through the double electronic gates that lead to the single garage with good space for a big car and also storage space. Entrance to the property is through a grand entrance hall which leads to every room of the house, straight into the open living/dining room, left to the 2 double guest bedrooms, family bathroom, right into the kitchen area and back to the staircase to the top floor where the master suite is located with private sitting area, dressing and private terrace, on this level there is also a 4th bedroom for guests and another bathroom. From the living area and the kitchen there is access out to the big covered naya that opens out to the beautiful private pool area and to the summer kitchen. 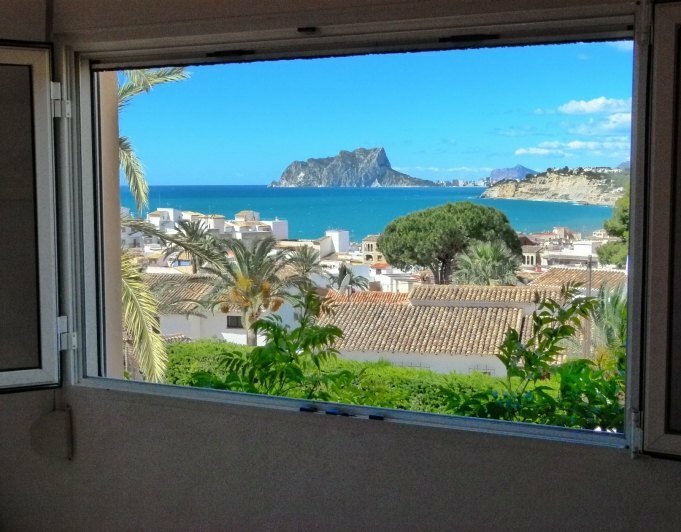 From all the main rooms there is a good view of the sea and the calpe rock. 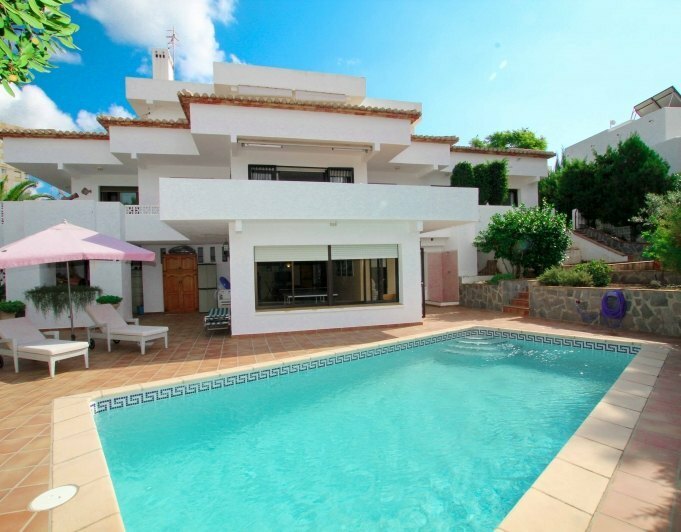 This villa benefits of airconditioning hot and cold in every room, gas central heating throughout, double glazed Windows, single garage, camera controlled security system and good sea views. A truly amazing property on a large private plot with south facing sea view. Magnificent lagoon swimming pool. All bedrooms are ensuite, and in addition 1 guest wc, spectacular master bedroom with marble bathroom, kitchen, dining room, lounge, sitting room, large naya with summer kitchen. Property is furnished. Outside is a magnificent lagoon swimming pool, mature landscaped gardens, increased water pressure system, water deposito for garden, tennis courts, garage for 4 cars. Also benefits from state of the art, full automation and security system including video surveillance and multimedia, under floor heating, double glazing, aircon and mains utilities. Very close to beach. Can you imagine living in a Villa with your pool and garden sunbathing at any time? Now you can make your dreams come true. 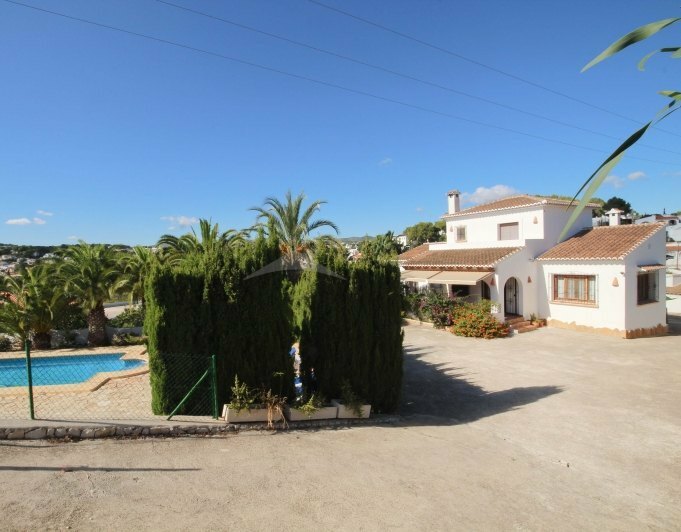 Find your fantastic villa for sale in Pla del Mar, Moraira. With an average temperature of 20 degrees during the year and with the sun almost always shining. 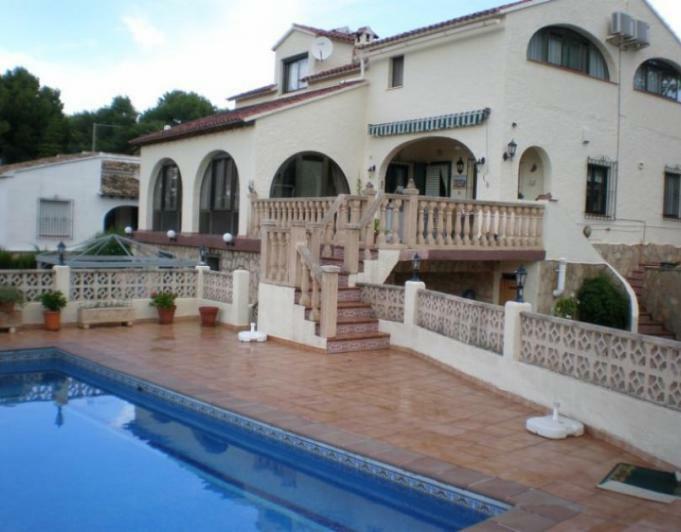 Having a villa in Pla del Mar de Moraira is a dream you can make come true. 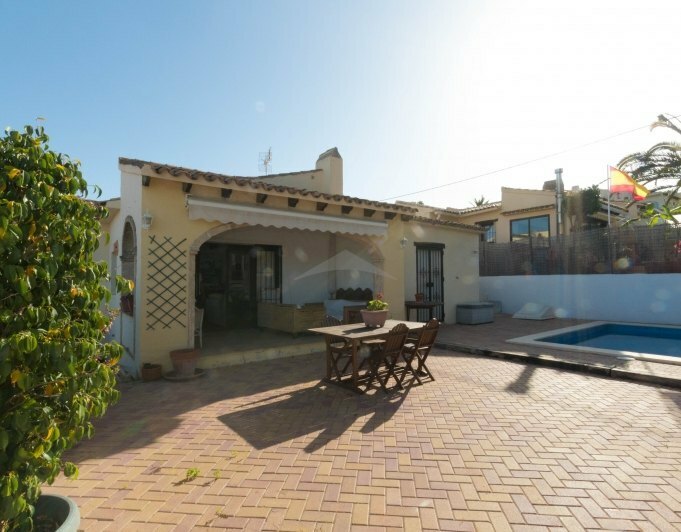 The Pla del Mar area in Moraira is fantastic to buy your villa and enjoy an ideal climate and the tranquility of the area. If you are thinking of buying a villa, Pla del Mar is the ideal area where you will live a dream every day. 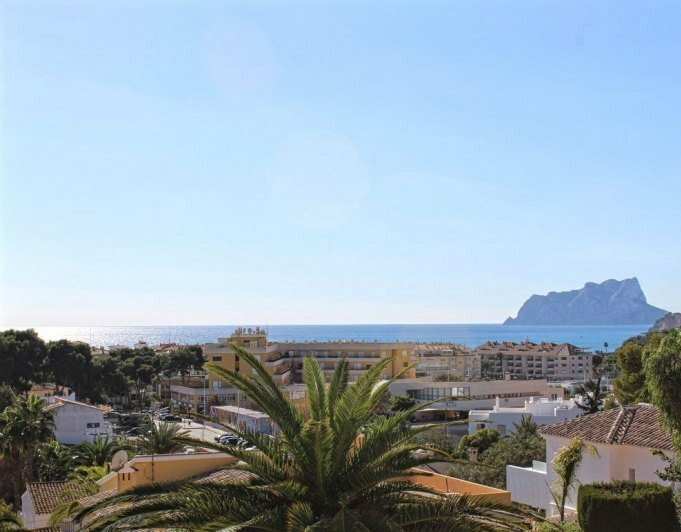 The exclusive villas for sale in the Pla de Mar area of Moraira offer you the chance to live in an urban environment that covers all your needs. 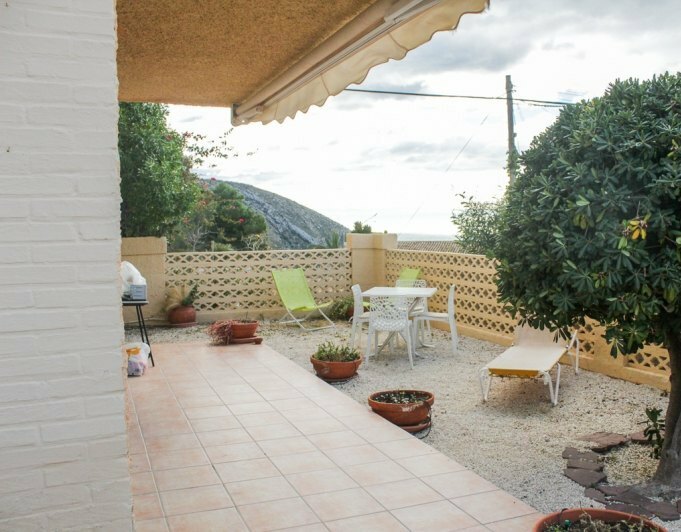 If what you are looking for is to be close to the sea and enjoy long walks, long summers and an unbeatable quality of life, without a doubt the ideal place is Morara in the heart of the Costa Blanca and specifically the area of Pla de Mar. 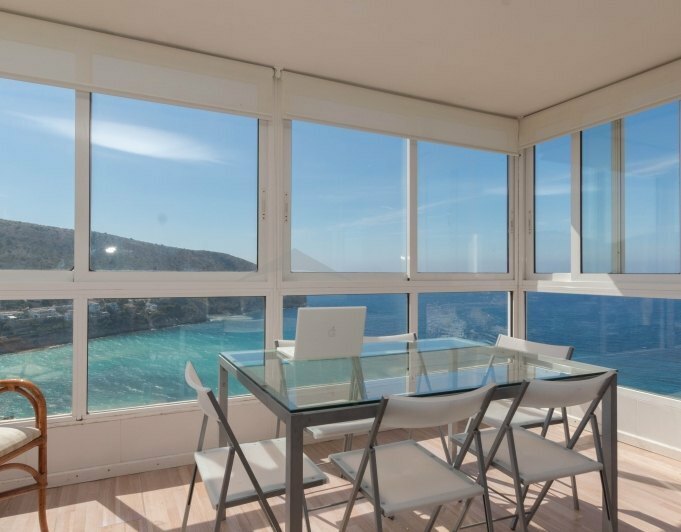 An area where properties for sale have become the most demanded as compared to other more expensive areas, Pla de Mar can offer all the advantages and comforts that anyone can need. Why buy our Villas for sale in Pla de Mar - Moraira? Imagine yourself on your big terrace in front of your private swimming pool and in the background a beautiful garden watching the sunsets over the sea while enjoying a unique afternoon with your family and friends. Have you imagined it? Enjoy this dream with your loved ones every day you want and buy your new villa in Pla de Mar with us. We will help you choose the best villa and get the best conditions for you. Trust us. 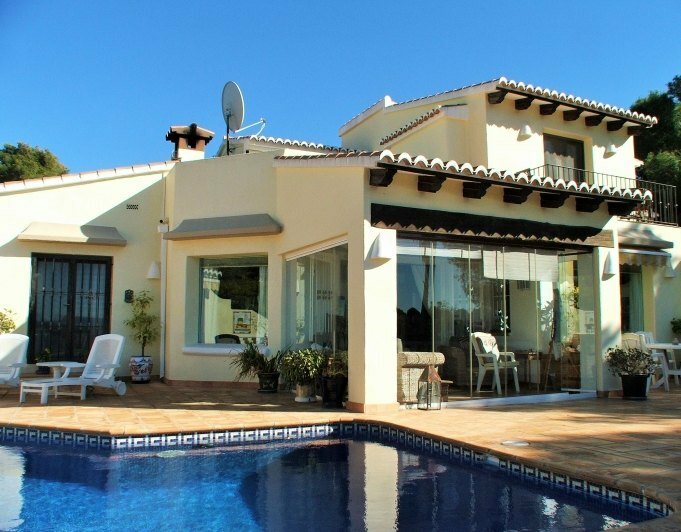 Discover more Villas in Moraira here.